Your crawl results can help you to quickly produce a list of all redirected pages and the pages to which they are redirected. A crawl of your website will find all pages that are redirected, as well as the pages they are redirected to. Pages that are redirected return a status code of 3xx, which makes them easy to find in the the crawl results. Here's how to identify any redirection loops on your website using OnCrawl. Information on redirected pages can be found in the crawl analysis results. Because redirected pages are identified based on their status code (302 or 301), you'll find this information under Indexability > Status codes. 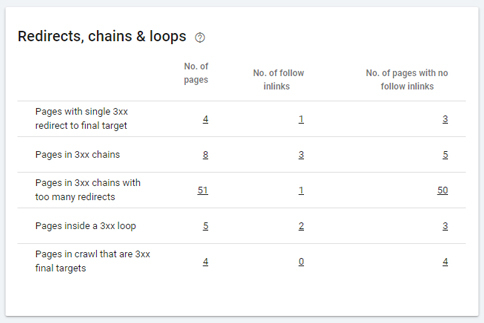 The Redirects, chains and loops chart will show you all of the pages that are part of a redirect loop. Click on the number to go to a list of these pages in the Data Explorer. From here, you can explorer or export this information. 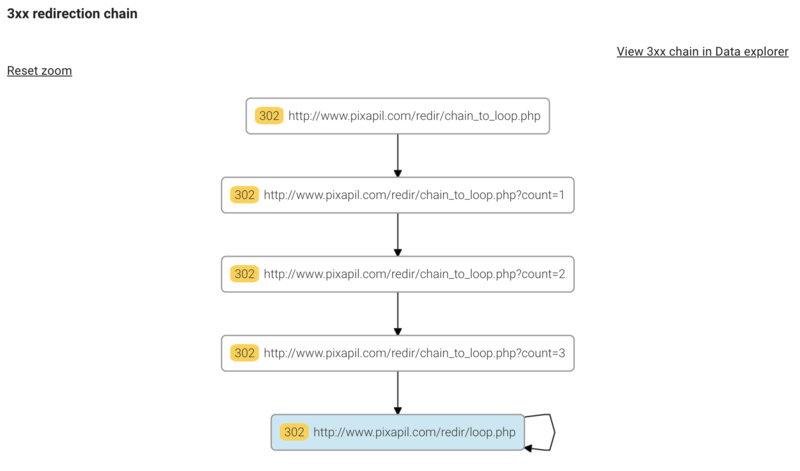 The example above shows a chain of redirects leading to a loop created when a page is redirected to itself. You can find more information about the information OnCrawl provides concerning redirect loops and redirect chains. This includes best practices, redirect chains (series of redirections that don't loops), analysis of loops and chains by depth or by group, and much more.